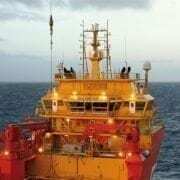 In the early Seventies there was no specialist in the ARA region that supplied electrotechnical parts and components for seagoing vessels. That is exactly why the Haverkamp family established Imatech. Imatech is a contraction of International Marine Technics. Crews on the seagoing vessels that called at the ports of Rotterdam, Amsterdam and Antwerp heard about Imatech. The first orders started to come in and soon the company started to grow thanks to the word of mouth of satisfied customers. In order to never have to disappoint customers, the company started to build a large stock of electrotechnical parts and components. In no time at all, the house of the Haverkamp family was bursting at the seams with products and components in all types and sizes. They moved to Hellevoetsluis, near the international port city of Rotterdam, and had to rent a garage as additional storage. But Imatech continued to grow, and in 1980 Imatech moved from the Haverkamp residence into proper office premises. Although the office had moved, the storage remained in their garages. Three years later, Imatech moved again to a larger location in Hellevoetsluis, on the Daltonweg. The number of employees also grew. Here they had sufficient space. The storage and offices were once again in the same building. In 2001 the oldest son, Erling Haverkamp, took over the business from his parents. Imatech’s most recent move happened in 2008 to the company’s current premises in the Christiaan Huygensweg in Hellevoetsluis. These new premises offer plenty of possibilities allowing the company to continue to grow for several years without problems. In 2015 another warehouse was added. In 2009, Erling also founded FitatSea with a partner. This company supplies ships and rigs all over the world with products which help you to have a pleasant and fit stay at sea (accommodation equipment, fitness equipment, all kinds of leisure products and health & relaxing equipment). In 2011, Imatech opened a back office in Manila. Another warehouse was added in 2015. These new premises offer plenty of possibilities allowing the company to continue to grow for several years without problems. Followed by an office in Singapore in 2016. Currently Imatech has a workforce of about 50 employees. Imatech supplies customers around the world and is at your service 24/7.